Lloyd Raymond Roberts, 90, passed away peacefully on March 30, 2018 at home with loved ones at his side. 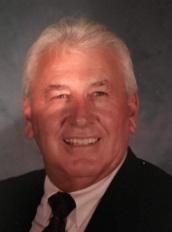 Visitation will be held from 5-7 pm Tuesday, April 3, and a service celebrating Lloyd's life will be held at 1:00 pm Wednesday, April 4, all at Park Lawn Northland Chapel, I-35 at State Route 291, Liberty. Private burial at Mount Olivet Cemetery, Kearney. In lieu of flowers, memorials are suggested to the Shriners' Hospitals for Children or to St. Jude Children's Hospital. Lloyd was born May 1, 1927, in Rea, MO, the son of Clarence and Beulah (Huffaker) Roberts. Along with his parents, Lloyd was preceded in death by his son, Jeffery Hale Roberts, and brother, Loris Eugene Roberts. Lloyd served in the U.S. Navy at the conclusion of World War II, receiving honorable discharge as Seaman First Class in 1946. He then farmed with his dad in Andrew County until age 26. Following farming and teaching school at Whitesville, he was appointed to the Missouri State Patrol. He "retired" in 1982 as a zone Sergeant in Clay County after 29 years of service. He then worked for the Clay County Prosecutor's office, the Kearney Police Department (where he served as Chief of Police), the Clay County Sheriff's Department, Clay County Parks Department (where he served as Chief Ranger), and the Caldwell County Courthouse, finally retiring at age 84. Survivors include his children, Mitzi Boydston (Bryan) and Frank Lloyd Roberts; daughter-in-law, Kathy Roberts; seven grandchildren, Andrea, Christina, Alisa, Michael, Jonathon, Macy and Faithlynn; three great granddaughters, Ryleigh, Haley and Kylie; spouse, Cynthia Roberts; as well as other family members and many friends. Lloyd's family extends special thanks to the team at Ascend Hospice (especially Randi Kinyon and Bekka Shay) and to his personal caregiver, Anitra Burton, for the loving care he received.